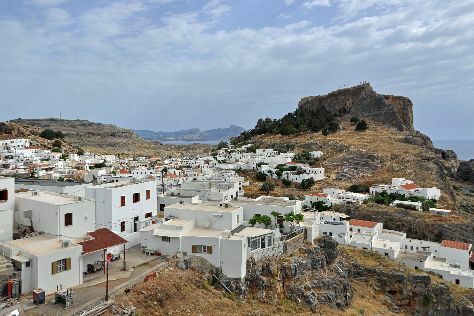 On the 13th (Sat), contemplate the long history of Village of Lindos. Keep things going the next day: stroll through Agathi Beach, take in the spiritual surroundings of The Church of the Panagia, then explore the ancient world of Acropolis of Lindos, and finally tour the pleasant surroundings at Lindos Beach. To see traveler tips, reviews, maps, and more tourist information, read our Lindos route planner . Sydney, Australia to Lindos is an approximately 29-hour combination of flight and bus. You can also do a combination of bus and flight; or do a combination of train, flight, and bus. You'll gain 8 hours traveling from Sydney to Lindos due to the time zone difference. Prepare for warmer weather when traveling from Sydney in July: high temperatures in Lindos hover around 35°C and lows are around 28°C. Cap off your sightseeing on the 14th (Sun) early enough to travel to Rethymnon. Change things up with these side-trips from Rethymnon: Chania Town (Minoan's World, Greek National Football Museum, & more), Lake Kournas (in Kournas) and Souda Bay War Cemetery (in Souda). 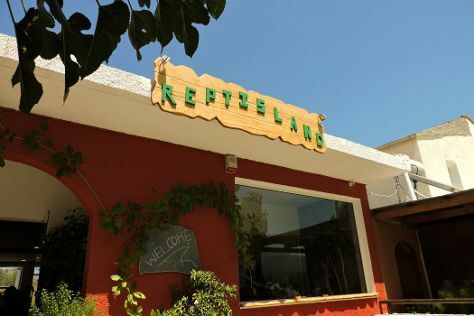 Next up on the itinerary: take a stroll through Rethymnon Old Town, explore the fascinating underground world of Melidoni Cave, identify plant and animal life at Reptisland, and take in the spiritual surroundings of Monastery of Arkadi. To find photos, where to stay, other places to visit, and more tourist information, go to the Rethymnon driving holiday tool . You can do a combination of bus and flight from Lindos to Rethymnon in 6.5 hours. Other options are to do a combination of bus and ferry; or do a combination of ferry and car. July in Rethymnon sees daily highs of 37°C and lows of 25°C at night. Cap off your sightseeing on the 17th (Wed) early enough to travel to Athens. Athens is known for historic sites, museums, nightlife, shopping, and fun & games. Your plan includes some of its best attractions: steep yourself in history at Acropolis of Athens, take some stellar pictures from Mount Lycabettus, take in nature's colorful creations at National Garden, and let your taste buds guide you at a local gastronomic tour. For photos, where to stay, other places to visit, and tourist information, go to the Athens day trip planning app . Fly from Rethymnon to Athens in 4 hours. Alternatively, you can do a combination of shuttle and flight; or do a combination of ferry and flight. In July, daily temperatures in Athens can reach 38°C, while at night they dip to 28°C. Cap off your sightseeing on the 21st (Sun) early enough to travel to Tirana. Kick off your visit on the 22nd (Mon): take in the awesome beauty at Mount Dajti. Get ready for a full day of sightseeing on the 23rd (Tue): examine the collection at National Ethnographic Museum in Kruje, examine the collection at Museum of Secret Surveillance, then don't miss a visit to Skanderbeg Square, and finally get engrossed in the history at National History Museum. For maps, traveler tips, photos, and more tourist information, use the Tirana trip planner. Fly from Athens to Tirana in 5.5 hours. Alternatively, you can drive; or do a combination of flight and bus. The time zone difference when traveling from Athens to Tirana is minus 1 hour. 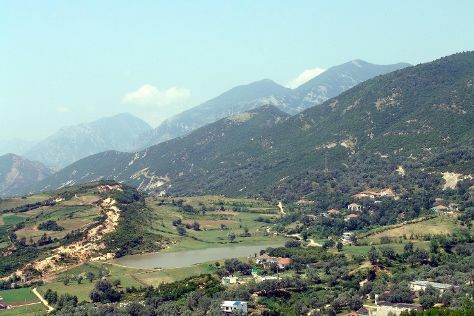 Expect little chillier evenings in Tirana when traveling from Athens in July, with lows around 20°C. Cap off your sightseeing on the 23rd (Tue) early enough to go by car to Berat. A rare example of well-preserved Ottoman style, Berat is a World Heritage Site. 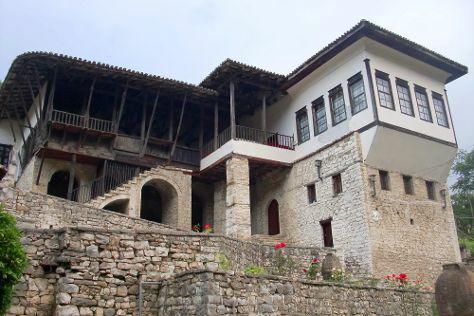 Start off your visit on the 24th (Wed): examine the collection at National Ethnographic Museum Berat, admire the masterpieces at National Iconographic Museum Onufri, and then admire the striking features of Berat Fortress. For other places to visit, traveler tips, maps, and more tourist information, refer to the Berat trip planner . You can drive from Tirana to Berat in 2 hours. Alternatively, you can take a bus. In July, plan for daily highs up to 38°C, and evening lows to 20°C. Finish your sightseeing early on the 24th (Wed) to allow enough time to drive to Thessaloniki. Kick off your visit on the 25th (Thu): steep yourself in history at Hagios Demetrios, take in panoramic vistas at White Tower of Thessaloniki, get engrossed in the history at Museum of Byzantine Culture, don't miss a visit to Aristotelous Square, then steep yourself in history at Church of St.Sophia, and finally explore the ancient world of The Greek Agora and Roman Forum. On the 26th (Fri), you'll have a packed day of sightseeing: delve into the distant past at Rotunda, steep yourself in history at Arch of Galerius, take an in-depth tour of Archaeological Museum of Thessaloniki, then contemplate in the serene atmosphere at Church of Agios Nikolaos Orphanos, and finally contemplate in the serene atmosphere at Osios David (The Latomou Monastery). For reviews, more things to do, and other tourist information, use the Thessaloniki trip planner . Getting from Berat to Thessaloniki by car takes about 5.5 hours. Other options: do a combination of car and bus; or take a bus. Due to the time zone difference, you'll lose 1 hour traveling from Berat to Thessaloniki. July in Thessaloniki sees daily highs of 38°C and lows of 23°C at night. Finish your sightseeing early on the 26th (Fri) so you can travel back home.